Drain fields provide for the natural filtration of septic tank waste and are an integral component of septic systems. Turf grasses are the best plant selection for a drain field location due to their relatively shallow root systems that are unaffected by the drain field located several feet beneath the surface. Lawn grasses that would otherwise be successfully planted in Albuquerque, New Mexico, should have no problem growing over a drain field. Buffalograss is native to New Mexico and provides a high-quality, dense turf grass with a fine texture and blue-green foliage. Easy to establish and maintain, buffalograss is not tolerant of shady or high-usage areas and is ideal for Albuquerque's arid climate. Buffalograss is extremely drought tolerant and is commonly planted on roadsides, parks, home lawns and golf coarse roughs. 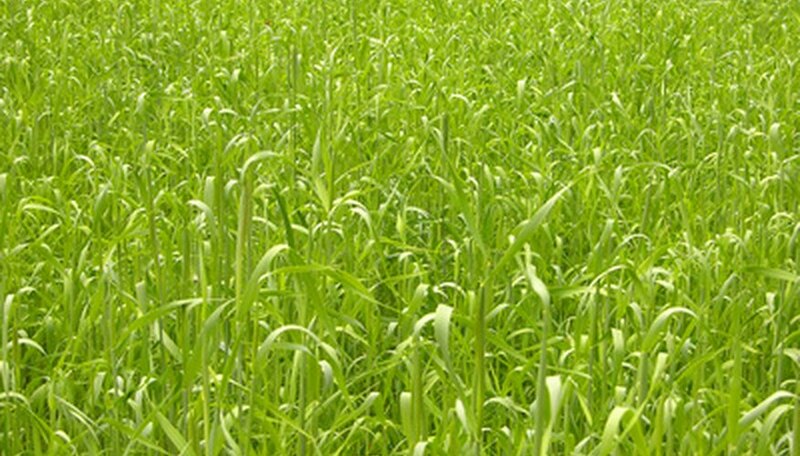 Bermudagrass is a warm-season grass with a light-green color and medium-textured leaves. Fast-spreading and aggressive, Bermudagrass creeps over a lawn's surface through the use of underground rhizomes and above-ground stolons. Bermuda grass is slightly less drought tolerant than buffalo grass and is successful in a wide variety of soil conditions. This grass is commonly planted in home lawns, athletic fields and golf courses. Zoysiagrass is a creeping, warm-season grass with green foliage and fine texture. Native to China, zoysiagrass is commonly planted in dry climates throughout the United States because of its drought tolerance. Slow growing and high maintenance, zoysiagrass is cold-temperature, shade and foot-traffic tolerant. Zoysiagrass' slow growth makes it vulnerable to injury and is slow to recuperate. Tall fescue is a cool-season grass with sufficient heat and drought tolerance to successfully grow in the Albuquerque area. With a coarse texture and bunching growth, tall fescue grass tolerates high-traffic lawn areas and partial shade. Tall fescue is typically planted by seed or sod and is vulnerable to brown-patch and leaf-spot diseases. When grown in arid, dry climates such as Albuquerque, tall fescue grass should be watered periodically for best results. Perennial ryegrass is a cool-season grass used on home lawns and as a foraging plant for livestock. With great cold tolerance, perennial ryegrass is commonly planted in the Southern states to provide temporary ground cover during the winter months. Ryegrass has limited heat and drought tolerance, not ideal for Albuquerque, but can be successfully used with proper irrigating, mowing and fertilizing.